Polaris Walkin Drive for 2013 and 2014 batch Freshers on 22nd June 2014. Polaris Recruitment drive for BE, B.Tech and MCA freshers. 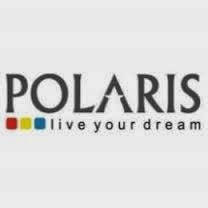 Polaris Walkins in Chennai for young & talented freshers. Candidate Must have 10th &12th – 75% & above and UG & PG – 65% & above. Interested and eligible candidates can directly walkin to below mentioned address. B.E – CS & IT Branches only passed out in 2013 & 2014. MCA Graduates passed out in 2013 & 2014. 10th &12th – 75% & above & UG & PG – 65% & above. Polaris Financial Technology Limited, a NASSCOM Top 10 company, is a recognized global leader in Specialty Application Development for the Banking, Financial and Insurance sector, with its comprehensive portfolio of products, specialized outsourcing & modernization services and consulting. Polaris has a talent strength of close to 10,000 solution architects, domain experts and technology experts and owns the largest set of Intellectual Properties in the form of a comprehensive product suite and seven banking platforms namely, Intellect Universal Banking, Intellect Consumer Finance, Intellect Credit Cards, Intellect Cash & Liquidity Management, Intellect Wealth Management, Intellect Portals and Intellect Risk & Treasury Platform. Headquartered in Chennai, Polaris has its Corporate Banking Solution Centre in Mumbai, Investment Banking Solution Centre in Hyderabad, Risk & Treasury Solution Center in Mumbai, Retail Banking and Insurance Solution Centre in Chennai and Enterprise Solution Centre in Delhi. Polaris has offices in Tokyo, Sydney, Hong Kong, Singapore, India, Dubai, Bahrain, Riyadh, London, Belfast, Zurich, Frankfurt, Toronto, New York, Chicago, Fremont and Chile.